Oh my God, this film freaks me out! Listen, I’ve watched a lot of Italian horror films. I know how violent they can be. I know how gory they can be. I know how sordid they can be. I know how disturbing they can be. It’s not like I sat down and watched Torso with virgin eyes. But with all that in mind, Sergio Martino’s 1973 giallo still totally freaks me out! Why does it freak me out? Well, it’s going to be hard to really explain it without spoiling the movie’s biggest twist. It occurs about halfway through the film and it totally took me by surprise when it happened. Suddenly, Torso went from being just another film about a seemingly unstoppable murderer to becoming a tension-filled game of cat and mouse. So, I’m going to discuss the movie but I’m going to give a spoiler alert before I talk about the twist and, if you’ve never seen Torso before, you should stop reading and you should discover what happens for yourself. Torso takes place in Perugia, Italy. During the day, it’s a beautiful city that’s surrounded by a beautiful countryside. The nearby University of Perguia seemse to be exclusively populated by beautiful students, including American exchange student Jane (Suzy Kendall) and her best friend, the wealthy Daniela (Tina Aumont), and beautiful instructors, like the rather opinionated Art History teacher, Franz (John Richardson). But at night, Perugia changes. The countryside around the university becomes considerably less beautiful. A masked killer stalks through the fog-covered woods, carrying with him a knife and an endless supply of red scarves. He kills anyone that he comes across in the wilderness, including one of Jane and Daniela’s friends! With everyone panicking about the serial killer in their midst, the ineffectual police investigate the usual sordid collection of suspects but with little success. Daniela, meanwhile, thinks that she may have seen the killer and, for her own safety, she, Jane, and their friends all go to her family’s villa for the holiday weekend. Jane breaks her ankle and is given a sedative by the local doctor. This knocks Jane out for the night and when she finally wakes up, she discovers that all of her friends have been murdered and the killer is still in the villa! Fortunately, he doesn’t realize that Jane’s in the villa as well. Unfortunately, he’s also locked all the doors and the windows, so that he can have the privacy necessary to dispose of the bodies. 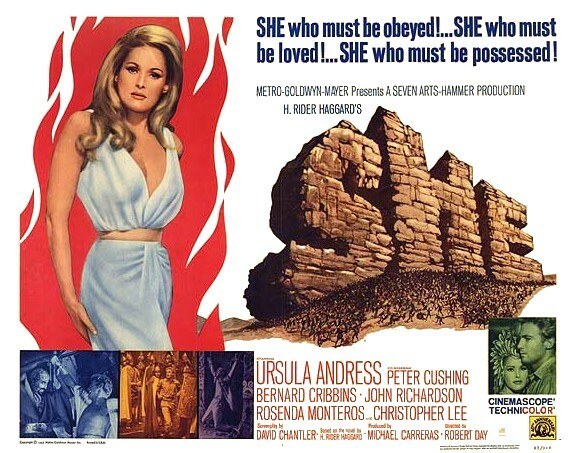 For the rest of the film, Jane has to try to get someone to notice that she’s trapped in the villa without drawing the attention of the killer. Needless to say, this proves even more difficult than it sounds. Torso is often dismissed as being a lesser giallo, particularly when it’s compared to some of Sergio Martino’s later contributions to the gnre. While Torso might not feature as complex a plot as some of Martino’s other films (and you’ll probably guess the killer’s identity long before the film reveals it), it does feature a second act that is so nerve-wracking and suspenseful that I barely breathed while watching it. Visually, Martino does an excellent job of contrasting the beauty of the outside world with the horrors inside the villa and both Suzy Kendall and Tina Aumont give good and sympathetic performances in the lead roles. Torso totally gave me nightmares but I’d watch it again. …didn’t manage to keep me awake, that is! That’s right, I actually dozed off in the middle of SHE for a good fifteen minutes! 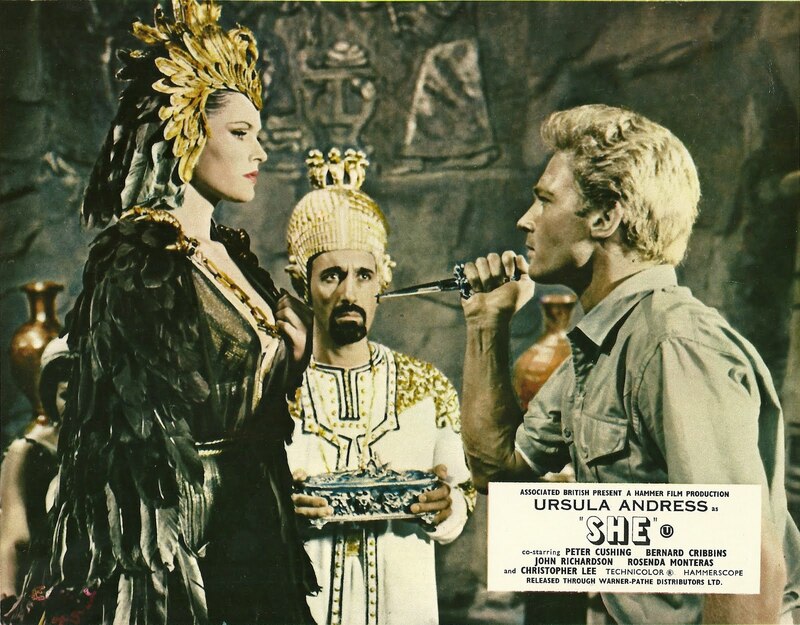 This so-called adventure film, a remake of the rousing 1935 Merian C. Cooper production starring Helen Gahagan and Randolph Scott, is based on a novel by H. Rider Haggard, a pretty big-deal adventure novelist back in the day, who also wrote the novels KING SOLOMAN’S MINES and ALLAN QUARTERMAIN. The ’35 version was filled with sumptuous Art Deco sets and a dynamic score by Max Steiner, and proved popular with moviegoers of the day.